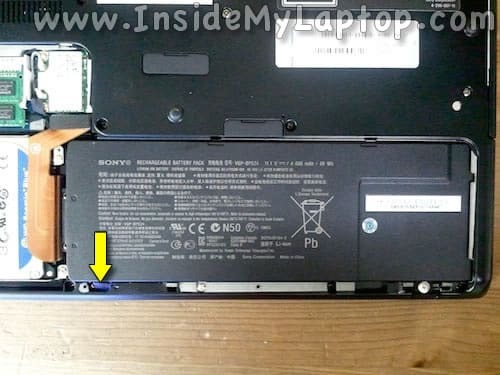 In this guide I explain how to disassemble a Sony Vaio VPCSA laptop. In my case the full computer product name is: VPCSA4MFY. Model PCG-4121GL. Don’t forget to turn it off before taking apart. Slide the cover away from the laptop case and remove it. Push on the blue latch to unlock the battery. Lift up the left side of the battery and pull it out. Spread latches on both sides of the RAM slot just enough to release the module. Pull the memory module out by the edges. 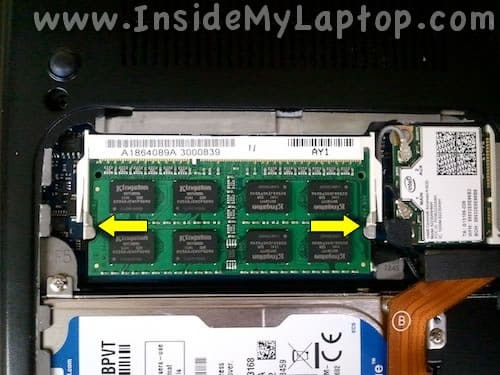 In a Sony Vaio VPCSA laptop you will find only one RAM slot. 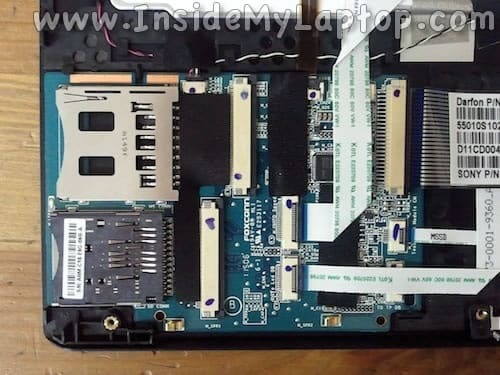 The second RAM module is integrated into the motherboard and cannot be removed. Simply lift it up and unplug from the connector. Lift up the hard drive assembly and remove it. 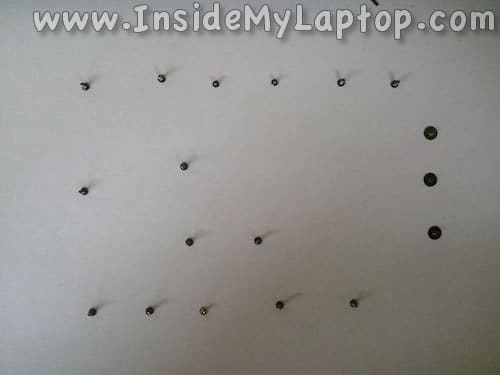 Keep all screws organized. As you see I placed them on a piece of paper in the order removed. Lift up the mylar cover located in the hard drive compartment. 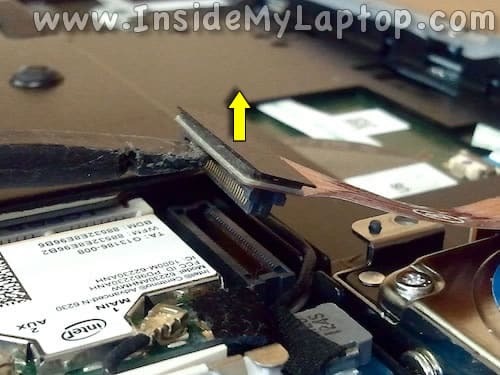 Remove black tape from both flat cable connectors. Before you disconnected the cables it’s necessary to unlock both connectors. Carefully slide the cable retainer about 2 millimeters to the shown direction to unlock the connector. Both cables have to be disconnected. 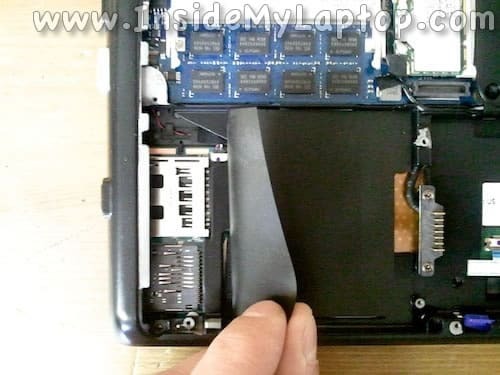 Start removing the top cover keyboard assembly as it shown on the following picture. Now you can access and remove the keyboard (not shown in this guide). The audio jack board located in the upper right corner of the top cover assembly. The power button board located in the upper left corner. The card reader board located in the lower left corner. When the top cover removed you can access and clean up the cooling fan. In order to replace the cooling fan it’s necessary to remove the motherboard first (not shown in this guide). 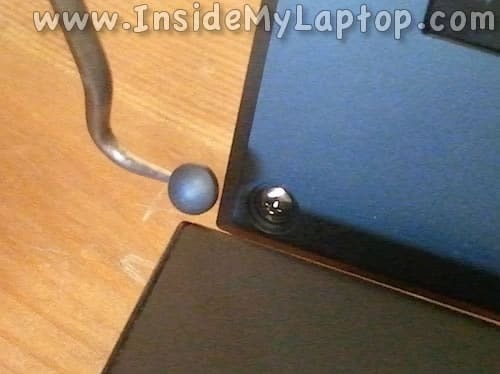 The DC jack is mounted in the upper right corner of the laptop base. 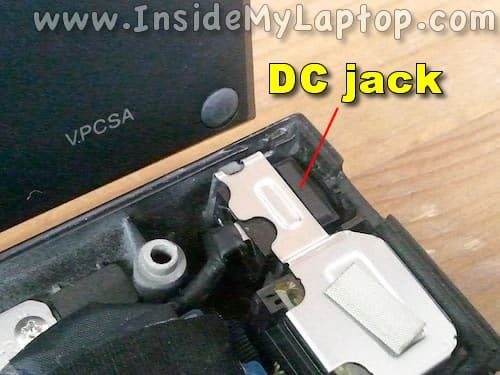 In order to remove and replace the DC jack it’s necessary to remove the motherboard. 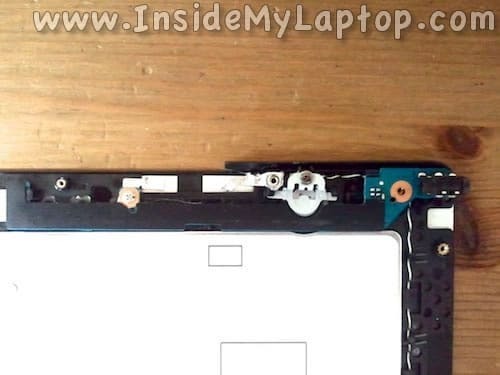 The LCD screen bezel secured to the display cover by two screws hidden under rubber covers. After that you can separate the screen bezel from the cover. Be careful while separating the LCD bezel from the display. It’s glued to the screen on the top and bottom with double sticky tape. After you remove the bezel you can access and remove the screen. How do i remove the motherboard? 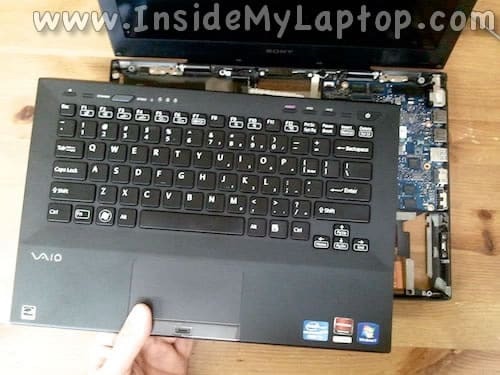 I don’t have the motherboard removal guide for this laptop but it should’t be very difficult when you get to the step 18. 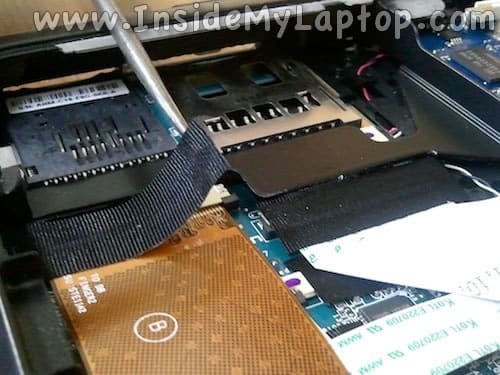 Basically, you’ll have to disconnect all cables and remove screws securing the motherboard. I have a VPCSA2CFX. I disassembled it to clean the fan and mounted it again. I have probebly disconnected something between tehe keyboard assembly and the rest.. Keyboard illumination is ok. TOuchpad working fine. Check cables shown in the step 14. Make sure both cables are seated correctly. look good to me. Any other suggestions? Sorry, I cannot give any good advice without looking at the laptop. It feels like loose connection somewhere but I cannot tell where. Did you ever find a solution? I am having a similar problem with my vpcsc31fm/s. Acually I had the motherboard repaired by a shop and the system is working again, but no LED’s as you mention and my optical disc does not eject from the button either….but does from the windows eject menu. Would this be a connection missing from the motherboard? Based on what you’re saying, the cables from step 14 are probably connected properly, if not there would probably be a lot more problems. I did all the steps to clean the cooling fan. After put it all back together there are few keys (A,W,Q,Z,P,windows key ect) on the keyboard dont work. Can you show me how to fix it? Mine just suddenly shut down by itself while i was watching a movie. I tried to turn it back on but couldnt and nothing lights up. Then i charged it, but the little ‘charged light’ on the side of the laptop didnt show. Im guessing it was overheated. What should i do? After put it all back together there are few keys (A,W,Q,Z,P,windows key ect) on the keyboard dont work. Make sure the keyboard cable is plugged correctly. Maybe you accidentally pulled the cable from the connector during the disassembly process. It’s likely that reseating the cable will help to fix this problem. Check cables shown in the step 12. It’s possible one of them is not plugged correctly. Try reseating both cables. Then i charged it, but the little ‘charged light’ on the side of the laptop didnt show. 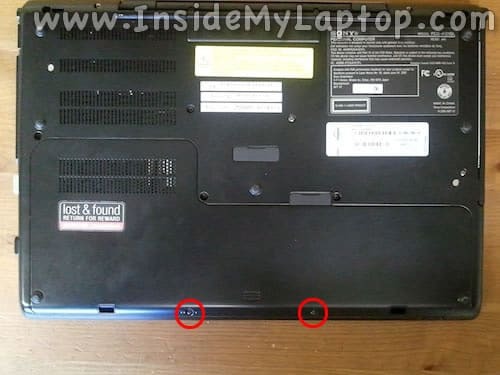 It’s possible the laptop will not turn on because the AC adapter failed. I would test the adapter with a voltmeter to make sure it outputs correct voltage. If there is no voltage, replace the adapter. 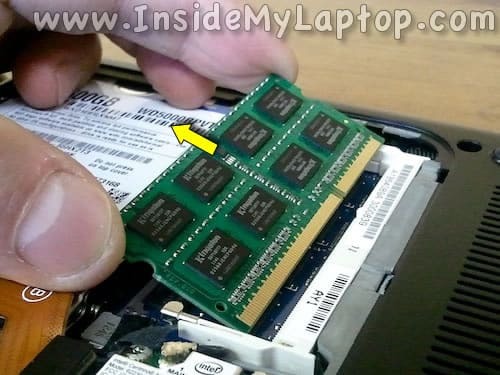 But when i assembled my laptop, it wouldn’t turn on/power up! 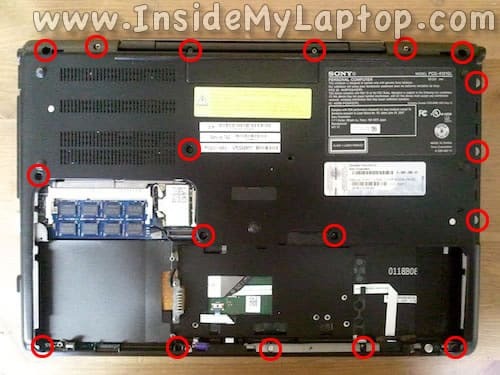 Probably the laptop will not turn on because it’s not assembled correctly. Most likely it’s related to not properly inserted/connected cables. There is no way I can tell what exactly is causing this without looking at the laptop. When I have a problem like that, I take it apart again and check ALL cables to make sure they are seated correctly. Hey ! Hi ! Thanks a lot for the steps. Was very useful. I tried to dissemble and assemble all the parts back. The first time the power button worked but the keypad and sound system was not working. So I dissembled again to fix the loose connections. But the second time the power button is not working at all. Could you show a close up of only the power button functioning. I know its loose connection but I need to know how to exactly connect the power button alone. PLS HELP ! 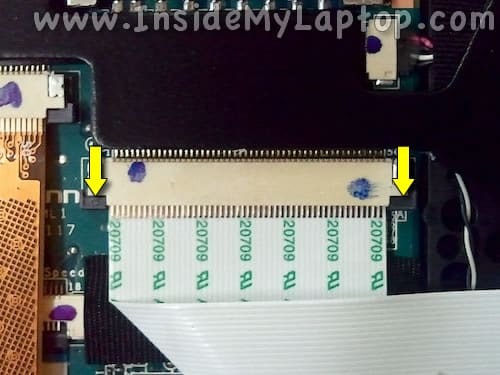 Can you also show how to take out the touchpad for VPCSE or VPCSE15FG model ? I replaced the whole palm rest but facing little bit of difficulty in taking out the Touchpad.. I replaced the whole palm rest but facing little bit of difficulty in taking out the Touchpad. Is it glued to the palm rest with adhesive tape? You can try using a hair dryer to soften the adhesive tape. 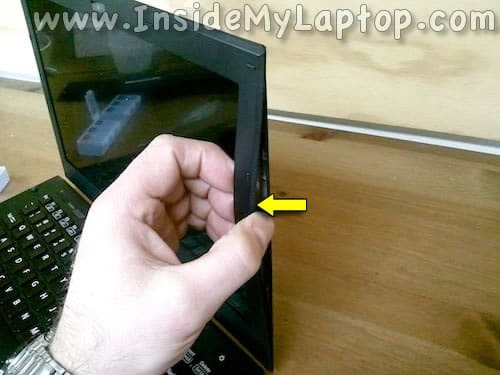 It will make it easier to separate the touchpad from the palm rest. I don’t have a guide for that, sorry. 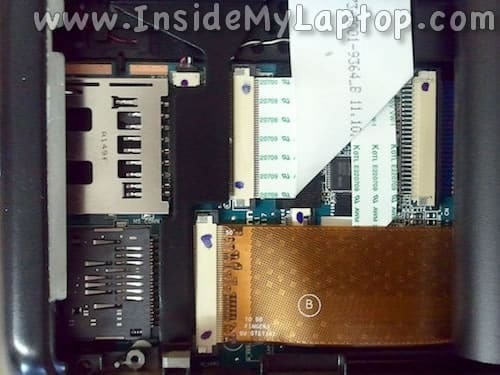 i need flexcible cable mssd ffc for sony vaio VPCSC1AFM PCG 41217L,which same as notebook VPCSA4MFY. Model PCG-4121GL. you can see it at your tutorial STEP 13 and STEP 14.
my location is INDONESIA ( PekanBaru City). 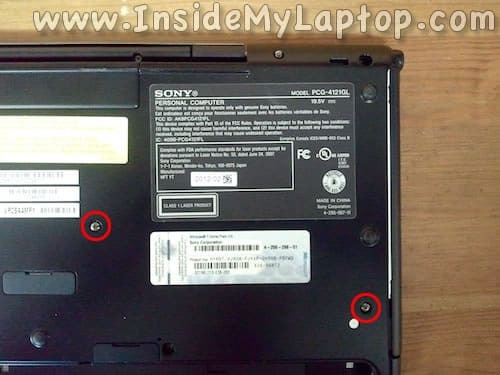 the laptop made in USA ( INTERNASIONAL), so service center SONY at INDONESIA cannot help me. Good day. I have to replace the key board of vaio vpcbs almost same as vpca. I have access to the keyboard but I don’t knowhow how to disconnect the key board and top cover. Please give me clear guid for this. Many thanks in advance. hi, I accidentally spilled coke in my bag and I think the liquid go to the front edge of my laptop inside the bag. Then my laptop won’t turned on. 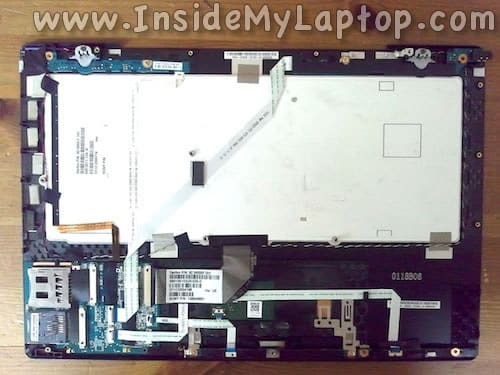 Then, I dried it without disassemble the laptop completely (just remove the battery cover and open small part of keyboard top cover). Afterwards, the laptop able to turn on, but now the microphone won’t work and the 2 lids at the front edge somehow won’t turn off (even when the laptop shutted down). Do you know which cable I should fix for it? Hi, a couple of days after a thunderstorm very close my vpcsa did not turn on and the batterylight at the front kept on flickering. 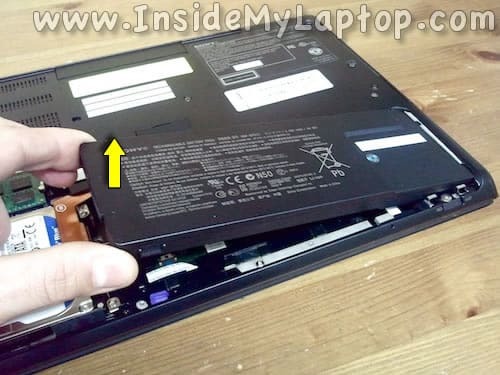 after removal of the battery the laptop functioned normally. i ordered a new battery on the internet and after installing (battery charged 75%) the laptop functioned normally again. exept for the next day it wouldn’t turn on again an same light flinckering. Again I removed battery and laptop functioned normally. Can you give me an idea of what is wrong? When you opened this baby up, were you able to tell if the processor were removable? 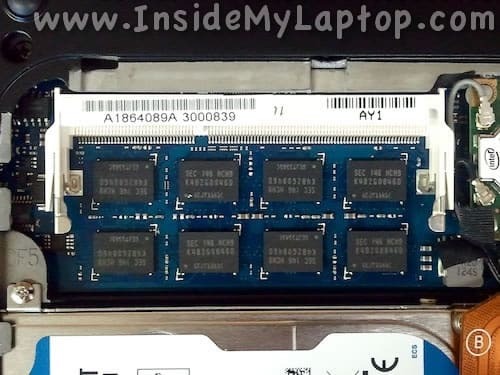 According to CPU boss, the 2450M processor belongs to socket G2 and is removable, but I am skeptical. I might consider upgrading it if it is. Also, my screen is flickering and sometimes going dark until I pivot the screen a bit. I’m guessing its an improperly seated cable, but I rechecked it and they seem OK. Anything else you are aware of that could be causing this issue? The Charger has green light on. I had shut down the laptop because the battery was low. The day after I connected the charger but nothing works and battery led was off. do you have any idea to save this laptop? Does anyone has any tip, how to remove keyboard from the palmrest (STEP 17)? Is it glued or it has some hidden pins or clips that it is holding it to the palmrest housing (plastic)? I have come this far, but afraid to break something while pulling out the keyboard. If cleaning under water won’t help I’ll buy new keyboard and replace it. Where can you find one of those standard hard drive caddies for this computer? Mine does not have that hard drive caddy and I’d love to find one. Is there a part number on it? Can somebody explain a little how to take down the bezel? It looks quite different from the normal notebook bezel. 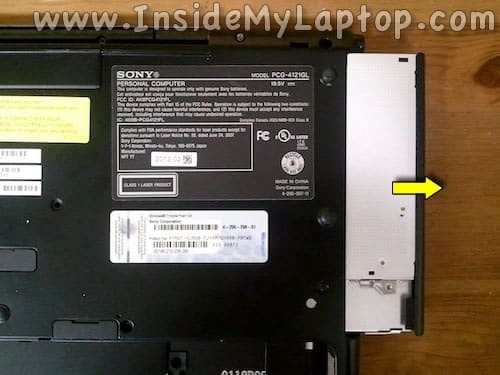 VPC SA and VPC SE use the similar bezel, I have googled everywhere, but nobody has show a picture or video how to open this Sony series. Thanks a lot for all suggestions. 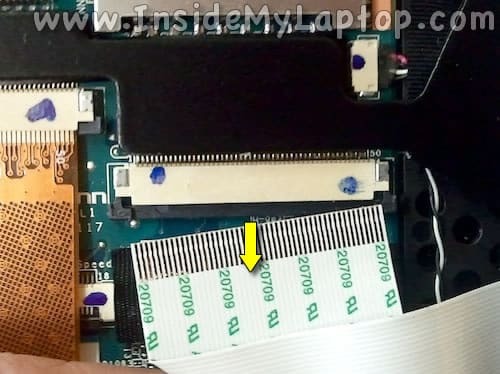 I too have a the similar question regarding teh keyboard, i have removed the keyboard, but i am not able to fix it back, is there something that we need to use it fix the keybaord back to the whole top assembly. Pls let me know. 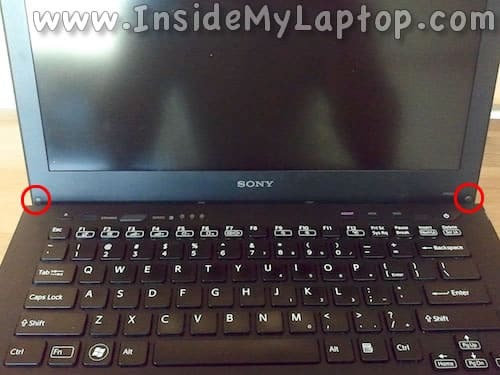 I was able to get a replacement keyboard from a used vaio, but i am not able to fix it fully. if anyone has any video please let me know. Thanks a bunch for this! Incredibly helpful, and the trick is to have lots of space to work in and be organised! Was having trouble with the keyboard when I put it back together. Remember to lock the connectors! Whats the name of the cable on step 14? I might need to purchase it haha… (the white one). 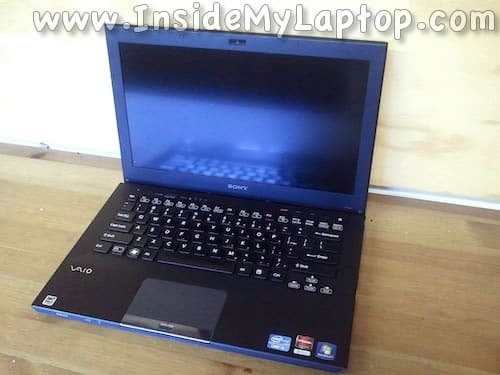 I have a sony vaio vpcsa 2c5e. Today it decided to not turn on. 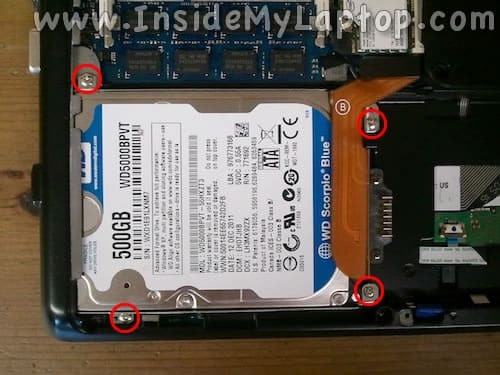 I can hear the hard disk running, but no led are turned on (start button, caps lock, keyboard, screen, etc.) only the light of battery charging is on when connect to ac cable. Anyone has idea of the problem? I have a problem similar to andrea, no lights, except for the one for the battery at the front, left side, when ac adapter is plugged. Also, no sound from fan or so, only a slight short noise from the dvd drive, shortly after pressing the power button. I tried to remove battery and ac adapter and press the power button for a minute, but no success.. The laptop was playing a video and suddenly power went off. Then it tried to boot for 2 seconds and went dead again. Any ideas? 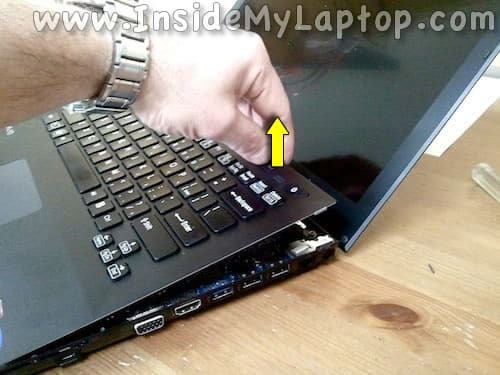 Finaly, how can we put back the keyboard when unglued from the palmrest?